In October of last year, HopeMatch leaders met to pray and ask God who was on His heart to minister to in the upcoming Christmas season. Through that time, one of our leaders felt that we were supposed to help non-profit leaders and/or ministry leaders. They give their lives to service and helping others, when many times they are in need themselves and rarely let anyone know. As we started reaching out to different leaders, the response was overwhelming. At first, they did not want to except the help, saying that there were others in more need than them. But, after an explanation and a little arm twisting, they all excepted. It was their time to be blessed for all the times they have been a blessing to others. One such leader is Erica. Her and her husband have been called to serve ministry leaders themselves through coaching and training, as well as marketing resources. HopeMatch leaders have been the recipients of their acts of kindness and learned a great deal from Erica. After they moved north of Charlotte, we fell out of touch for a little bit, but we are so glad to be back in contact with them through this past season. They have been through some things in the last couple of years that would bring most people to their knees and make them question God. However, they have remained strong and positive and we believe through all of those experiences, God will be glorified. 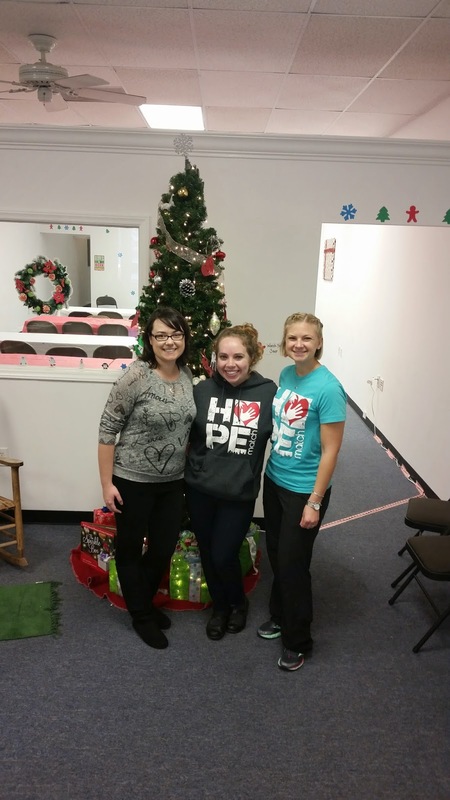 We were able to bless them through HopeMatch this past Christmas. It really encouraged them and brought their challenging year to a happy ending. We want to share with you the thank you letters we received from Erica's family. Get your tissues ready...it's definitely worth the read. If you have played any part in HopeMatch, there is something in this for every single one of you. Thank you to this family for opening their hearts and lives to share their experience with us in great detail. I have been intimidated about writing this thank you since Christmas morning. Not because I do not wish you thank you, rather, because I doubt my ability to put into words the overwhelming gratitude I feel for your generosity and the sacrifice you made for our family. For us, the last two years have drawn challenge after challenge to our young and growing family. We’ve experience an unexpected move to a new city followed by a unexpected rent increase on our new home, a major medical emergency with the birth of my second daughter, and discouraging and persistent health challenges with my son, Levi. We’ve seen the sudden loss of my husband’s baby brother, Matthew, at age 27 with 4 young kids at home under the age of 11, as well as the death of my cousin Nick, also 27, with a 3 year old son--all within the last year and a half. We’ve also experienced our own loss with my miscarriage last year on my daughters 2nd birthday. Throughout the whirlwind of life, on a day marked out as my favorite holiday, Christmas would just seem to pass us by while we tried to breathe through the challenges of life and remain faithful to a God who called us here to serve leaders in His Church. You cannot imagine the relief and gratitude I felt when our family was nominated for Christmas this year, and the excitement I felt while filling out our “wish list” paperwork. I thought through every possible need, carefully calculating the sizes and whether the kids would be in the months following Christmas and what gifts would leave lasting memories and give us lots of family time together. It was as exciting as shopping! When we submitted the paperwork, my thought was HopeMatch would purchase one item off our needs list, and if they could afford to, an item off our wants list and I was thrilled and anticipating what the item might be. 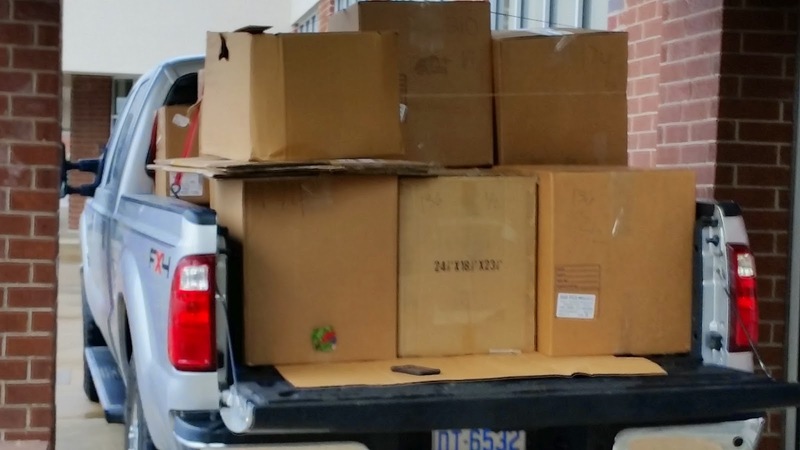 When a pickup truck with two HopeMatch volunteers pulled up to our home and began unloading boxes—B.O.X.E.S!-- of things, my husband and I were speechless. The kids, however, were not. They were SO excited—actually, that's the understatement of a lifetime! They were jumping on the couch (which they know is not allowed!) and completely unable to contain themselves. We left all the wrapped gifts in the box until Christmas Eve when we came home from serving at church. 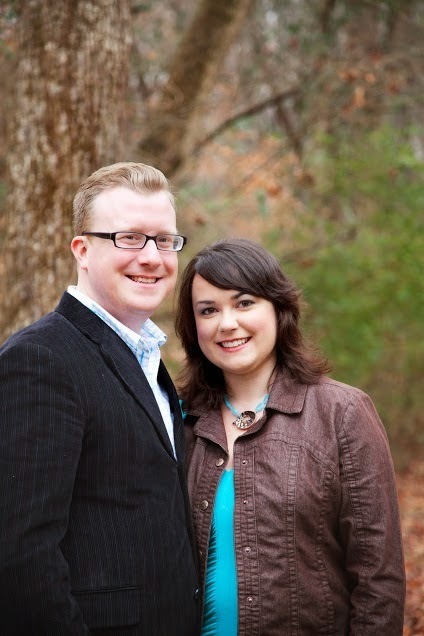 When my husband and I unpacked the boxes after returning from church, we were amazed. We walked through the doors after just watching hundreds of people give their life to Christ during our Christmas Eve worship experience, completely exhausted after serving 8 hours with 3-5 year old kids, and beside the Christmas tree, we got to have our own moment that I will truly cherish forever. We got to remember how faithful God is, and has always been to those who love him and how generous He is with those who commit to serve Him, providing for their every need….and even the wants! I cannot begin to explain how thrilled we were on Christmas morning to open each gift. Our kids had never seen anything like it and my husband said the last time he saw a tree like that was when he was 5 years old and his father kicked him, his mom, and his brothers and sister out of their home on Christmas morning and the church community rallied around them. We were just amazed. Our children have never owned clothes with original tags on, so as they opened their gifts and tried on EVERYTHING they were so excited to have clothes that fit and that was exciting for me. To see my children in warm, clean clothes was overwhelming. Levi loves his globe and plays with it every day before nap time and before bed. Faith Michael loves all the art supplies, the piano, and all the clothes—especially having jeans for the first time. Her favorite gift was her new jacket! She wore it all day. My husband has new work clothes which means so much to him, and shoes! Shoes that aren’t falling apart. I was thrilled to have warm clothes and boots that didn’t have holes in the bottom—in my last pair my socks got wet in the rain! By the time we got down to the last gifts my face hurt from smiling so much. I was so, so very thankful to see my family enjoy Christmas morning without a care in the world, just like every other kid their age would be doing. As I opened the last gift, an envelop with our family’s name on it, I was overwhelmed with tears and gratitude from the bottom of my heart. The last gift contained a gift card for groceries. Now to some, this might be not that big of a deal compared to all the amazing gifts we got to open all morning. But to OUR family….this was the most God ordained gift of all. Because of my son’s health challenges and numerous food allergies, and my own food sensitivities, groceries are a very big expense for our family. Each week I approach meal planning with crippling anxiety trying to hop from grocery store to grocery store getting the lowest priced foods that our family can actually eat and not get sick. Not an easy task with 3 kids in the winter with wet socks :) Having this gift card meant I could shop at one store without the fear that we would have more week than we would have food! And for me, that’s a feeling of relief I will always, always remember. Thank you. Thank you for the impact you’ve made on our family and the joy we felt on Christmas morning. Thank you for giving when you don’t have to. For believing in an organization like HopeMatch that made this possible. Thank you for everything you gave, and every moment you trusted God to work through you. We cannot thank you enough. Though we may never get to meet you, we will not cease in praying for you. On Christmas morning my husband said, “I can’t believe they would do this. For people they don’t even know.” and every time I think of his words my eyes fill with tears. Thank you for allowing us to have these life changing moments through your work in making our Christmas unforgettable even though you don’t even know us. Thank you so much for the part you played in making our Christmas so fantastic! 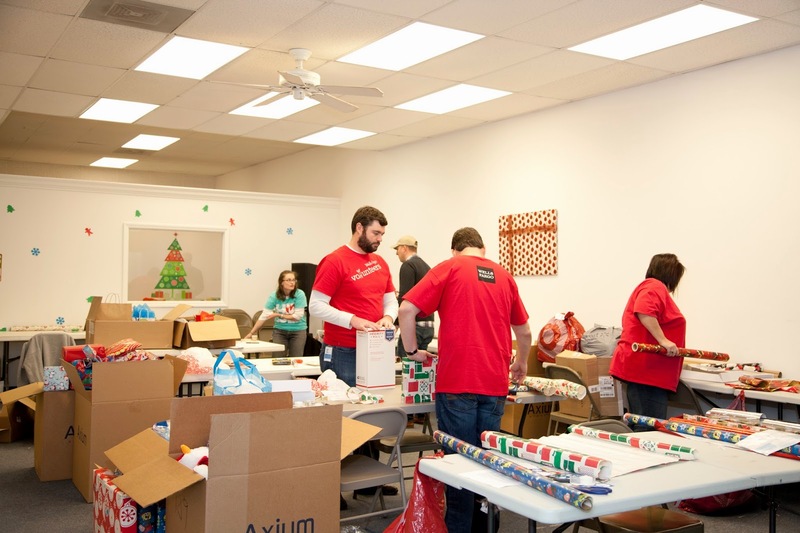 From shopping, to wrapping, to sorting and delivering, we were so very blessed by the tremendous work of your hands. God can use anyone to accomplish His work. I’m so thankful He chose you and called you worthy to play a part in this great miracle. Thank you for blessing our family and making serving His kingdom a top priority. Your sacrifice is so worth it. For years we will get to tell animated tales of the volunteers who worked hour after hour to make our Christmas as wonderful and amazing as it was. You will go down in history to our three little ones as the faithful few who wrapped relentlessly and labeled and taped and precisely slid scissors in a straight line--like David’s mighty men, our children will know you as great hero’s in God’s work. Thank you, thank you for every moment of time you gave, for every prayer you prayed, and for every dollar you invest in this work of God. Praying you will reap what you sow, ten fold and that God’s abundance will be abounding in your life! There are no words to thank you for your hard work, faithfulness, and sacrifice these last few years. As I have prayed these last two weeks for God to show me what I can say to your team, He simply tells me "Thank You". Thank you for every unsure moment you’ve had in launching this ministry and every fail and face-plant along the way as you figure it out. Thank you for stepping into unknown territory, and for trusting God to help you navigate all He has called you to. Thank you for meeting, after meeting, after meeting, and patience, after patience, after patience required to fulfill this call God has placed on your lives. Leading a charge is not easy. Knowing that something needs to be done and being willing and creative enough to figure out how to do it is an exhausting at best and are the challenges great leaders face. Thank you for being willing to face it. Being willing to push for it, and pray for it, and give your time, and your money, and your garage space to it. The work you do does not go unnoticed. The people you have become through this process is not unnoticed. Great is the reward in Heaven for servants like you who will give without expecting in return and who would see the need, and simply meet it. Whatever you do to the least of these, you do to me. And my Father in heaven sees and will reward you. Thank you. From every fiber of my being I thank your entire team for how you have blessed our family. Erin & Brian—thank you. From the moment I met you guys I could see there was something special about you. Your passion and love for God is luminous. Thank you for giving your energy and time consistently every Christmas, and all year long, to the work God has called you to. Don’t ever look back. You are doing a good work. Don’t ever come down. What you are building is too important to get distracted. God is faithful. He will provide for you just as you provide for so many. Thank you for trusting in Him and His work. I pray blessing after blessing on your marriage, your home, your ministry, and the team you lead. Lead diligently, and completely dependent, and God will accomplish a great work through your lives. Thank you friend. 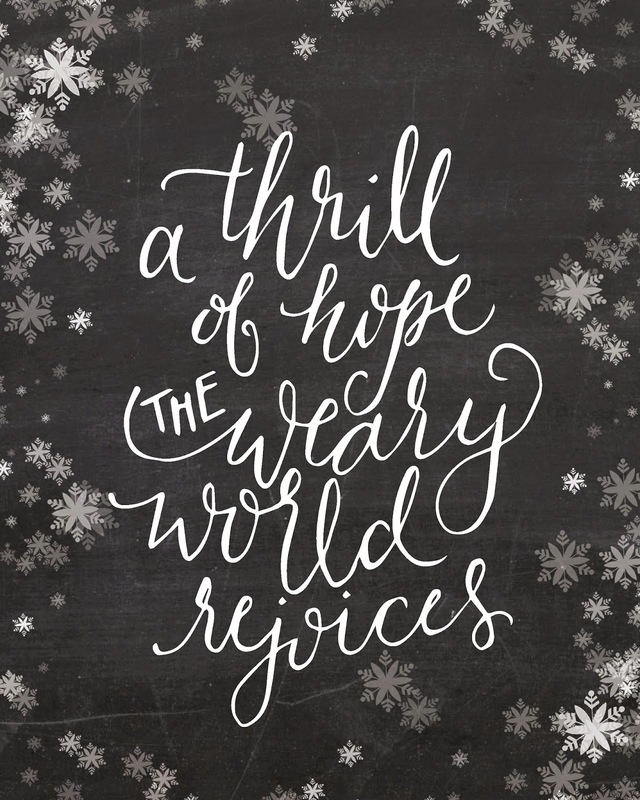 And to him who is able to do immeasurably more than we can ask or imagine…. 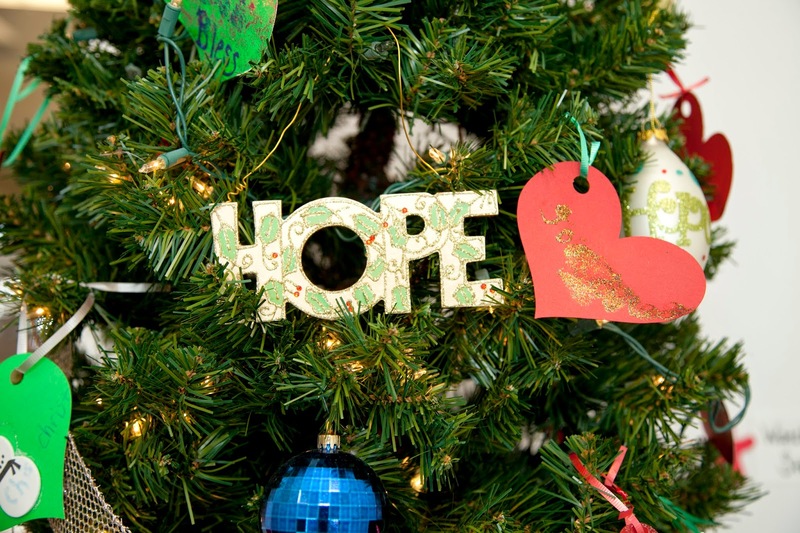 HopeMatch is a local charity serving those who are unseen and underserved in the Greater Charlotte, North Carolina, area. 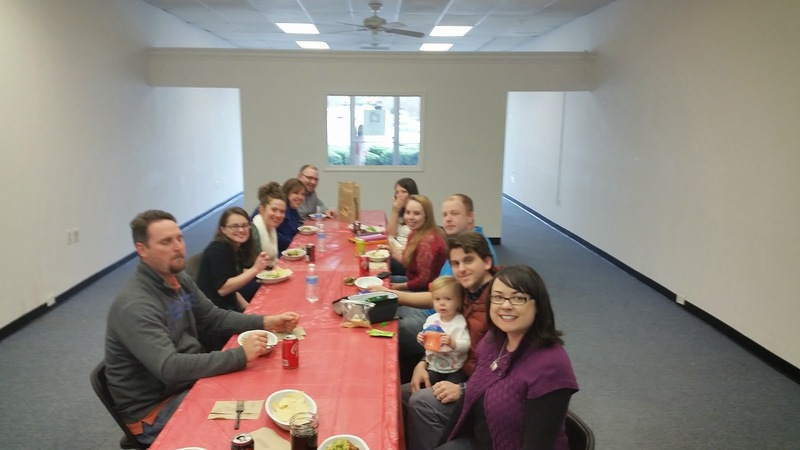 We started as a Christmas program, but have grown into much more. 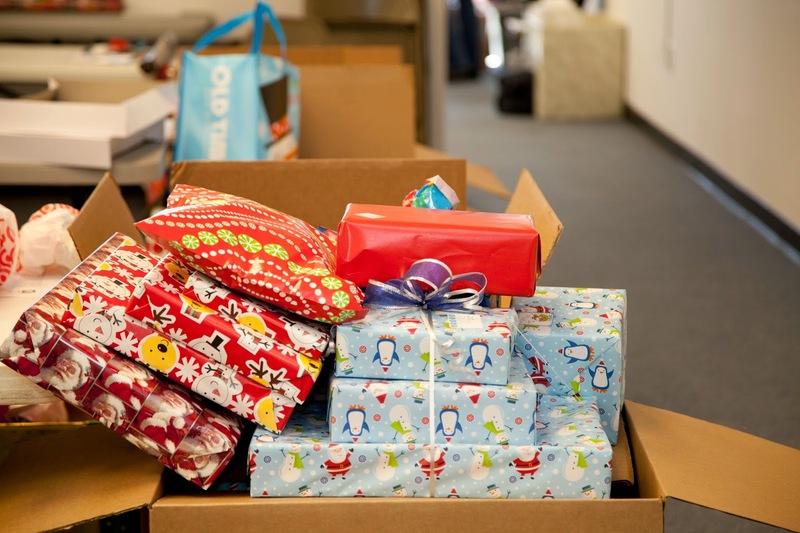 While our Christmas program of matching local families in need with people who want to provide personalized Christmas gifts and encouragement to their neighbor is still the heart of what we do, we have expanded our services to address the growing needs of the families we serve. Throughout the year, you will find multiple ways to give financially and volunteer, all while making a lasting difference in your community. Everything we do at HopeMatch is personalized and geared toward what the families need and what will make a lasting difference in their lives. We believe in not just giving a hand out, but a “Hand Up.” We consider it an honor to bless people in our community who often do not qualify for government assistance, but are trying the best they can to make life work.